With recent financial results displaying the added bite of US firms in the City, it appears their approach to the lateral recruitment market will continue to be just as aggressive. Paul Hastings continued to signal its M&A ambitions with the hire of Steven Bryan from Hogan Lovells, while Latham & Watkins proved again it is one of the biggest predators of the City elite after hiring Linklaters insurance partner Victoria Sander. For Paul Hastings, the hire of Bryan is of little surprise. The firm has made no secret of its ambition to strengthen in public M&A and private equity, as seen last spring with the hires of Roger Barron from Linklaters and private equity star Anu Balasubramanian from DLA Piper. The addition of Bryan, meanwhile, sees another highly-rated M&A practitioner leave for a US firm – an area widely considered the last bastion of the institutional City firms. You must be logged in to view full premium content. Latham & Watkins has once again hit the Magic Circle to expand beyond its traditional transactional heartlands in the City, recruiting Linklaters insurance partner Victoria Sander. Paul Hastings has also made the latest in a series of London hires, with former Hogan Lovells M&A infrastructure and energy partner Steven Bryan starting at the US firm this week. A Linklaters lifer, Sander started at the Silk Street firm in 1995. Mandates she acted on during more than two decades there include leading the team on Legal & General’s £1.1bn acquisition of the Vickers Group Pension Scheme. She will join Latham at the end of next month. Her hire is the latest in a series of London acquisitions for the Los Angeles-bred giant, which at the beginning of the month reported an 11% revenue hike to $3.386bn in 2018. In spring last year, Carl Fernandes made the switch from Linklaters to become the fourth regulatory partner to join Latham in less than two years. Later last year Latham also targeted Allen & Overy and Clifford Chance to secure the services of two of the highest profile names in the City’s infrastructure private equity space, Conrad Andersen and Brendan Moylan. However the firm suffered a rare loss at the beginning of 2019 as banking co-head Chris Kandel moved to Morrison & Foerster. Meanwhile, Paul Hastings has continued its expansive trajectory of late. Bryan’s clients at Hogan Lovells included Brookfield, ENRC and Equinor. 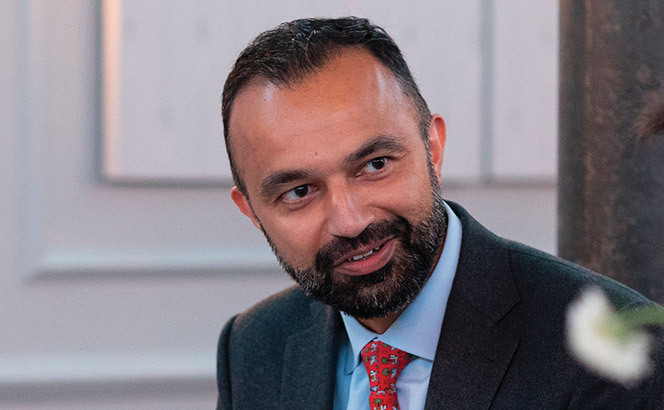 Paul Hastings went on a hiring spree in spring last year, tapping Linklaters for M&A heavyweight Barron and DLA Piper for private equity star Balasubramanian. 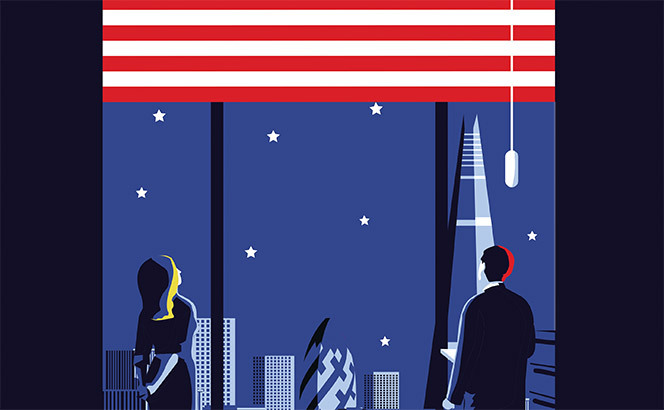 The US firm increased its London revenue 14% and global turnover 9% last year, while profit per equity partner broke the $3m mark, rising 12% to $3.25m. A year after becoming the first law firm to break the $3bn barrier, Latham & Watkins has posted an even stronger set of financial results, growing revenue at a faster 11% rate to hit $3.386bn in 2018. Meanwhile, Sidley Austin joined the growing number of US firms to report double-digit growth for their City operations in 2018, hiking London revenue 14% to £97.5m. Latham announced today (1 March) it added $323m to its top line in 2018, momentarily becoming the highest grossing law firm in the world, as profits per equity partner (PEP) rose 6% to $3.45m. Revenue per lawyer rose 6% to $1.33m, as lawyer headcount rose 4% to 2,540. Last year revenue rose 9% to $3.06bn and PEP 6% to $3.24m. Speaking to Legal Business, chair Richard Trobman hailed the firm’s tenth consecutive year of growth, which has seen $1.1bn added to its top line in the last six years alone. ‘2018 started strong and ended strong; we saw a consistent demand for our services throughout the year,’ said Trobman, pointing to ‘a fantastic year’ on the litigation front and adding that the value of M&A deals the firm acted on in 2018 was up 60% to $618bn. Mandates included advising Carlyle on the €10bn acquisition of AkzoNobel’s specialty chemicals business, the largest European buyout in 2018, and Global Infrastructure Partners on the acquisition of the Italian railway operator Italo – Nuovo Trasporto Viaggiatori. The firm made 19 lateral hires in Europe in 2018. In London it added litigators Jon Holland and Andrea Monks from Hogan Lovells, restructuring partners Yen Sum and Jennifer Brennan from Sidley Austin, infrastructure partners Brendan Moylan and Conrad Andersen from Clifford Chance and Allen & Overy, as well as regulatory partner Carl Fernandez from Linklaters. However, the year was not entirely positive. Chair Bill Voge resigned in March 2018 amid allegations of misconduct. Trobman was elected to replace him in June, seeing off competition from seven other candidates. Meanwhile, Sidley Austin’s City base also grew at a faster pace than the firm globally as it announced one of its best financial performances since the banking crisis, with firmwide revenue up 9% to $2.2bn from $2.04bn. PEP at the Chicago-bred firm rose 13% to $2.55m, the highest growth in a decade as it shrunk its equity partnership by 2% to 334. Revenue per lawyer rose 5% to $1.14m, with the firm’s headcount growing 4% to 1,943. The City office, which has been building a private equity practice over the last three years since the recruitment of more than a dozen partners from Kirkland in 2016/17, saw some lateral movement in 2018. It launched a London life sciences practice with the hire of Marie Manley from Bristows , but losses from its City base over the last few months included restructuring star Yen Sum and partner Jennifer Brennan to Latham, former London managing partner and finance co-head Matthew Dening to Baker McKenzie, litigation co-head Dorothy Cory-Wright to Dechert and M&A partner Mark Thompson to Weil, Gotshal & Manges. Eyes will now inevitably turn to Kirkland & Ellis, which will announce its 2018 financials soon, to see whether it has once again topped Latham and retained its position as the highest-grossing law firm in the world . Either way, these financials from Latham and Sidley are the latest in a number of results that point to a booming 2018 for several US firms, both globally and in the City. Continental Europe provided rich pickings to the global legal elite this week, as Blackstone and Hellman & Friedman agreed to one of the largest ever takeovers of a German listed company by a private equity group. It was a busy week for the UK market too, as Eversheds Sutherland joined Allen & Overy (A&O) on the €590m takeover of a British chemical business by a New York-listed company. Latham & Watkins and Freshfields Bruckhaus Deringer acted for Hellman & Friedman and Blackstone as the two PE houses announced a bid to acquire German online business Scout24, which was advised by A&O. The cash offer for the entirety of the Frankfurt Stock Exchange-listed company is €46 per share, valuing Scout24’s equity at €4.9bn and giving the company an enterprise value of €5.7bn. London private equity partners David Walker and Huw Thomas led the Latham team advising on the M&A, debt and equity finance aspects of the deal. The team also saw two of Latham’s most recent hires from the Magic Circle feature: Düsseldorf corporate partners Nikolaos Paschos and Tobias Larisch. The former joined the US firm from Linklaters in August 2017, the latter from Freshfields in March last year. 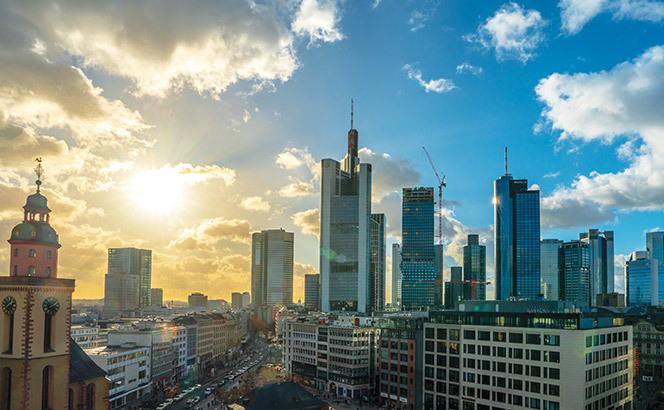 Larisch’s former colleagues, Freshfields partners Stephan Waldhausen and Arend von Riegen, advised the bidders on M&A matters, while A&O’s Christian Eichner and Hans Diekman acted for Scout24. Latham previously advised Hellman & Friedman and Blackstone on the acquisition of Scout24 in 2013, and then on the company’s listing in 2015. The offer is subject to a minimum acceptance threshold of 50% plus one share and was brought forward to Pulver BidCo, a holding company jointly controlled by the two private equity houses. A&O was busy north of the channel too, as London corporate partner Stephen Lloyd led the team advising Swedish chemicals company Perstorp as it sold its UK chemicals division Capa to US rival Ingevity. Eversheds corporate partner Nicola Brookes led the team advising New York Stock Exchange-listed Ingevity, while Swedish firm Mannheimer Swartling provided Sweden law advice to Perstorp. ‘The special thing about this deal for our client is that it is their first acquisition outside of the US,’ Brookes told Legal Business. The deal comes at the end of a competitive process, with private equity house Cinven also showing interest towards the end of last year. 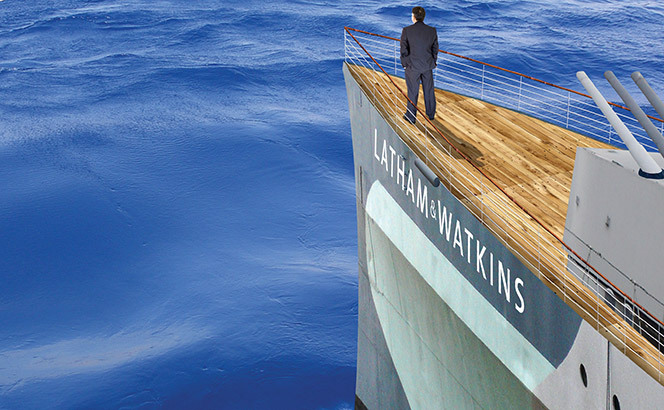 Latham & Watkins has promoted 31 lawyers to partner across all five of its departments globally, with 29% of those getting the nod in London. The promotion round, effective of January next year, sees a notable increase in associates making the cut in London, with just two being made up last year in the City. Globally the firm’s 31 promotions equal last year’s round, which saw New York receive the lion’s share of promotions. While London outstripped New York this year, Manhattan still saw six associates make partner with corporate and tax being the primary beneficiaries. Overall, 21 lawyers were promoted across the firm’s US branches in New York, San Francisco, Washington DC, Boston, Silicon Valley, Los Angeles and Houston. Meanwhile, European promotions meanwhile dwindled from three last year to just one this year, with Max Hauser being minted in Frankfurt. There were also no promotions in Asia this time around, whereas two were made up last year. The firm’s corporate and finance practices unsurprisingly made up the majority of the firm’s City promotions, with six and three associates being promoted in the practices respectively. Globally, 23 of the 31 promotions came in either corporate (14) or finance (nine). Peter Gilhuly, chair of the firm’s associates committee, said progression at Latham is the culmination of a multi-year process that involves ongoing professional development, business planning, formal evaluations, and informal feedback. The committee, which comprises roughly half partners and half associates, recommends promotions to partner and counsel each year. Ignored by much of the global elite until a few years ago, Spain is quickly becoming one of the hottest legal markets in continental Europe, with Latham & Watkins more than doubling its headcount in less than a year while UK challenger firm Fieldfisher delivers on its much anticipated launch. Fieldfisher managing partner Michael Chissick announced on 25 September that the firm had completed a three-year-long search to combine with 60-lawyer firm JAUSAS. Latham & Watkins has dealt yet another blow to DLA Piper’s Spanish ranks, hiring its first Madrid-based antitrust partner, while Kennedys has joined the growing number of firms beefing up their low-cost capabilities. 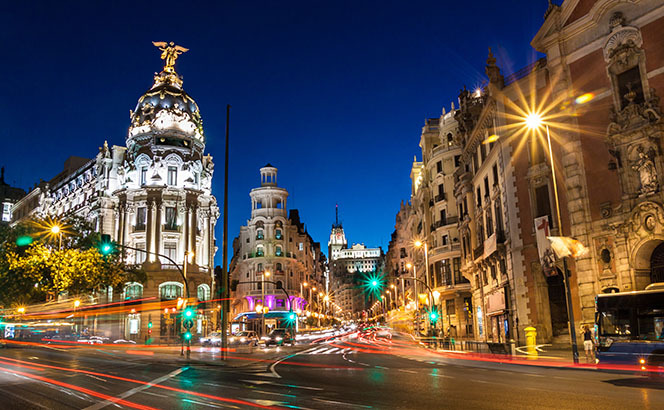 Former DLA head of competition José Maria Jiménez Laiglesia has succeeded against four other candidates to join Latham’s Madrid outpost, which has almost doubled its headcount in less than a year since bringing in DLA’s former senior partner Juan Picón. With a nine-strong team led by real estate partner Rafael Molina joining from Linklaters next month, the move means the US firm will have 50 lawyers in Spain come October, up from just 18 when Picón quit his former shop at the end of 2017. ‘The other candidates that showed interest were also good, but the Brussels office which led the process pointed to José Maria as one of the top antitrust partners in the country,’ Latham’s Spain managing partner Picón told Legal Business. Jiménez Laiglesia’s practice will support Latham’s core M&A and finance operations and will work closely with the firm’s Brussels team. Picón said the firm didn’t plan to expand the antitrust team much further, although it was on the hunt for one associate to support Jiménez Laiglesia. He is the latest in a long list of European hires by the $3bn firm. Over the last few months alone, Latham has raided the Magic Circle both in London and Germany to boost its transactional prowess. 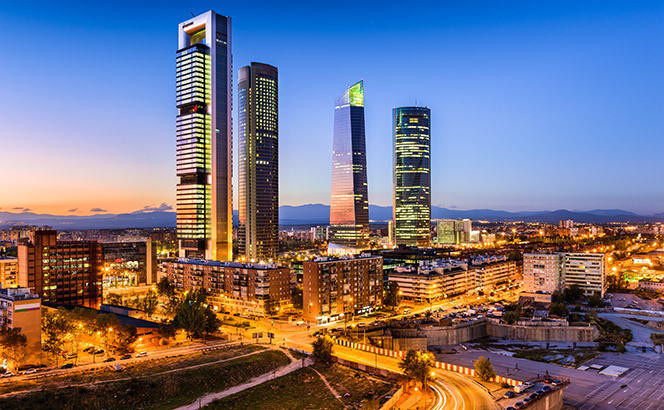 The quick expansion in Madrid is all the more impressive considering Spain is usually a quieter lateral market compared to its European neighbours. As for DLA, the firm has lost several partners since the departure of Picón, arguably its most prominent Spanish lawyer. Fellow DLA corporate partners Ignacio Gómez-Sancha and José Antonio Sánchez-Dafos followed Picón to Latham last year too. Elsewhere, Kennedys has chosen India to strengthen its innovation capabilities by launching a nine-strong business development operation in Kerala. Kennedys Kognitive Computing will focus on tech development including machine learning and text analytics. Led by Tony Joseph and reporting to the firm’s head of research and development Karim Derrick, the launch of the new company comes after a year-long exclusive partnership with the Kognitive Computing team. Derrick told Legal Business: ‘The clear differentiator is that the purpose of this team and my primary objective is to produce client-facing products to remove the need to use lawyers in the first place. It’s not about improving efficiency or margins, it’s about helping our clients using lawyers only when they need to.’ He said clients will pay to use products developed by the team on a per-use basis, a model the firm has already applied with its litigation tool KLAiM. 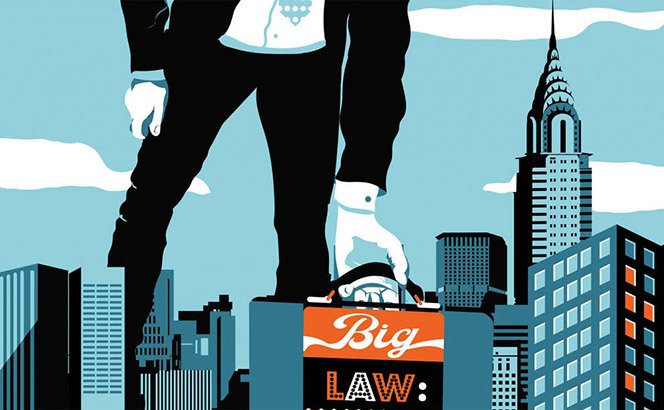 It makes Kennedys the latest in a long series of firms announcing a substantial investment in innovation, as client pressure on costs keeps efficiency high on BigLaw’s agenda. Perhaps the most significant move of the year was Clifford Chance’s acquisition of the former Carillion Advice Services team in Newcastle. Closer to home, globetrotting firm Bird & Bird has expanded its Polish dispute resolution team with the hire of PwC Legal head of litigation Adam Kowalczyk in Warsaw. He leaves PwC after two-and-a-half years and was previously an associate at Weil Gotshal & Manges and DLA. Latham & Watkins has secured the services of two of the highest profile names in the City’s infrastructure private equity space in a double hire at the expense of Clifford Chance (CC) and Allen & Overy (A&O). CC’s private equity offering took a knock amid one of the firm’s most senior departures in years as infrastructure head Brendan Moylan quit for Latham & Watkins. Meanwhile, A&O’s saw the departure of senior finance hand Conrad Andersen, another infrastructure veteran. With sector specialisation touted as one of the key differentiators of CC’s sponsor capabilities, Moylan led on a number of big mandates during his 19 years with the firm. His is the highest profile PE move from the Magic Circle firm to Latham since the US giant recruited practice co-head Oliver Felsenstein in 2015 and means Moylan will also be re-united with his former colleagues David Walker, Tom Evans and Kem Ihenacho, who quit CC between 2013 and 2014. Moylan’s name emerged as one of CC’s key sponsor practitioners in Legal Business’ recent analysis of the firm’s PE practice and his colleagues described his work as ‘phenomenal’. This year he led the team advising private equity house 3i Group in the €1.7bn sale of its stake in Scandlines and Global Infrastructure Partners (GIP) on the acquisition of Singapore’s Equis Energy for $5bn. GIP is also a big client of Latham’s, no doubt one of the reasons that made Moylan attractive to the US firm, which has been on the hunt for top names in the European infra world for a while. The $3bn firm has been expanding outside its transactional heartland in the City over the last few months, with hires including Linklaters’ London partner and former Asia head of financial regulation Carl Fernandes in May and, the same month, tapped CC’s German practice hiring Thomas Weitkamp in Munich. 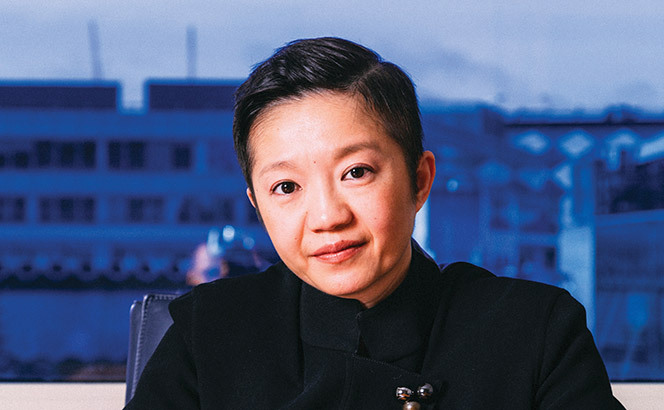 Two weeks ago, Latham also bolstered its restructuring team, hiring deal star Yen Sum and her colleague Jennifer Brennan from US rival Sidley Austin. Latham & Watkins has hired former Linklaters restructuring star Yen Sum just over a year after she joined Sidley Austin in one of the quickest turnarounds in London’s senior lateral recruitment market. Sum is joining Latham alongside fellow finance partner Jennifer Brennan, another Linklaters alumni who had also followed her from the Magic Circle firm to Sidley just last year. They will be the fifth and sixth partners in Latham’s City restructuring team, in a move the firm’s co-head of restructuring Simon Baskerville said was aimed at targeting funds and alternative asset managers. One of the City’s more well-regarded finance counsel, Sidley recruited Sum in just November 2016. The firm pushed ahead with Sum’s recruitment when she was eight months pregnant, meaning she would be on maternity leave when she first joined: a rare commitment for a transferring partner. Sum had joined Linklaters in 2002 and later spent three years in Barclay’s leveraged finance team, returning to the Magic Circle firm in 2008. The pair are the latest big name hires for Latham’s City outpost in the last few months. In May, the firm brought across Linklaters’ former Asia head of financial regulation Carl Fernandes. For Sidley, the high profile losses come after two years of quick expansion in Europe. Most notably, the firm hired 13 partners from Kirkland & Ellis’ London and Munich offices in the space of a year between February 2016 and 2017. The Chicago-bred firm this month appointed a new London managing partner, with corporate partner Thomas Thesing replacing Matthew Dening after four years. 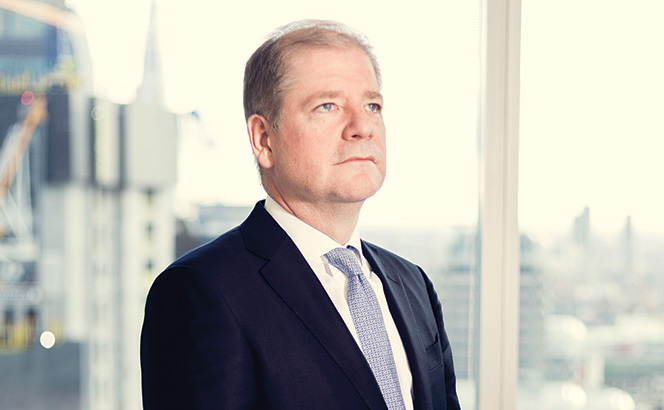 Finance co-head Dening had taken over from tax partner Drew Scott in July 2014. Latham & Watkins is sticking to London for its new chair and managing partner, electing deal finance heavyweight Richard Trobman to the role. Previously the firm’s co-vice chair, Trobman will step into the role immediately, bringing to an end a three-month long search for a successor to Bill Voge, who resigned from the firm in March amid allegations of misconduct involving communications with a woman outside the firm. He will stay on initially for a five-year term but told Legal Business he was prepared to stay on for at least two terms to ensure continuity at the US giant. The only candidate based outside Latham’s US heartlands in the race, Trobman has seen off competition from seven other candidates from the firm’s DC, New York and Los Angeles offices. He is the second consecutive managing partner of the firm to come out of the London office, an unusual move from a US law firm. One of the top high-yield lawyers in Europe and one of Latham’s most prominent operators, Trobman joined the firm in 1991 as an associate in Los Angeles, transferring to New York in 1993. He made partner in 2000, the year he moved to London, and is closely associated with the hugely successful build out of Latham’s London practice. The firm now generates in the region of $300m in the City and is considered by many as the most potent US threat in Europe to the London legal elite. The list of Trobman’s roles in Latham’s management is long. He was London chair of corporate in 2008-14 and was elected co-vice chair in February last year. He then took on the role of interim co-head alongside California-based Ora Fisher when Voge stepped down.